« How Will They Know We Are Christians? From her hospital bed, Lois opens a card with a familiar picture of a white dove on the front. The very sight of it warms her heart and reminds her of the peace of God. Jenny pulls into the parking lot of a hospice thrift shop. She notices a familiar dove symbol on the sign as she enters the building. Bill buys his wife a new Bible for her birthday. He has her name inscribed onto the leather cover, choosing the symbol of a dove to accent the beautiful printing. What is it about the dove that makes it a popular symbol among Christians? Two prominent stories in the Bible involve the dove. 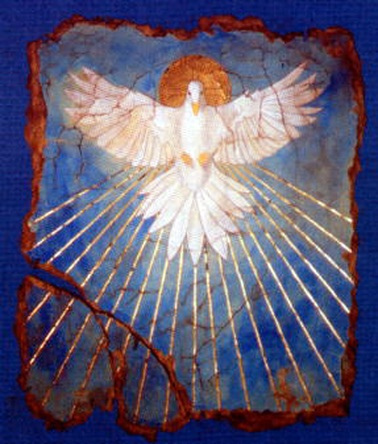 One is about the baptism of Jesus, the Holy Spirit descending upon him as a dove. In Genesis 8, Noah released a dove after the flood. When the bird returned to him, it had an olive leaf in its mouth, letting Noah know there was dry land nearby. Many commentaries consider this as marking the end of God’s judgment and the beginning of a new covenant with man. What is this “new covenant?” Jesus explained at his last Passover meal that his blood would be poured out for many for the forgiveness of sins. (Matthew 26:28). By this, he was affirming that his death and resurrection was the means by which he would bring salvation to all who would believe. No more would the offering of animal sacrifices be required to cover their sins, a ritual that required repetition on a daily basis. Instead, Jesus would shed his perfect blood once—for all. A free gift for all who would believe in the Son of God for the forgiveness of sins. Not because of righteous things that we might do, but because of His great mercy. He loved us. He gave himself for us. For this reason, He endured the Cross.